What makes house-to-house easy for Councilor Magsaysay? Campaigning is tough, especially when you aim to visit every house in your area. 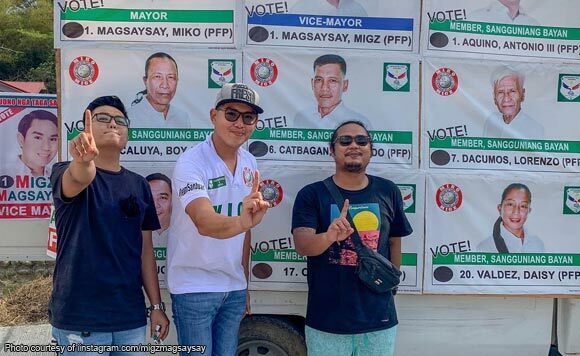 So it’s a good thing for San Juan, La Union Councilor Miguel “Migz” Magsaysay that two of his best bros are joining him in his house-to-house activity! The politiko is running for vice mayor in May. “House 2 House is so much fun when you got your best bros around! Luv u both! !” said Magsaysay.